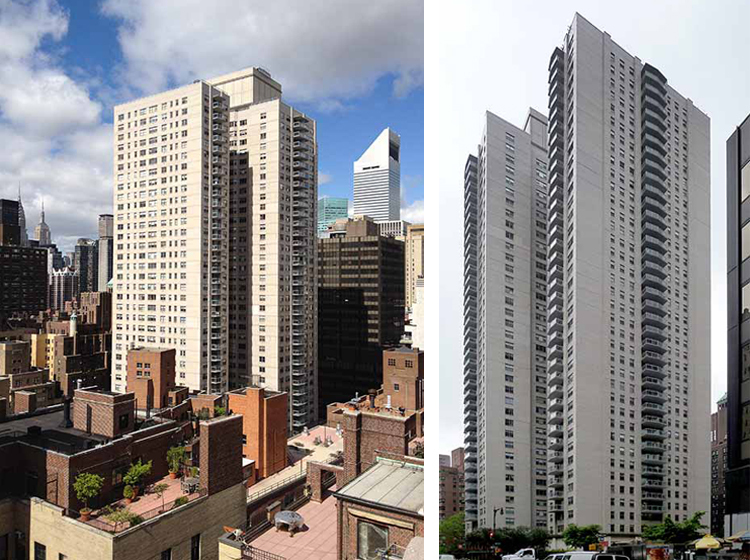 This 40-story apartment building occupies a large part of the block between East 56th and East 55th Streets on First Avenue. The building was constructed of reinforced concrete framing and exterior brick and CMU cavity wall construction, and has eight projecting balcony lines. Erected in the early 1960’s as an affordable residential rental building, it was converted to a co-op in the 1980’s. Since then, the building has undergone several repair programs to the exterior envelope, being plagued by frequent water infiltration, and as a result, increasing masonry and structural problems. The first phase of a multi-year, multi-phased plan developed by B/LA focused on comprehensive repairs to the 300 concrete balconies. 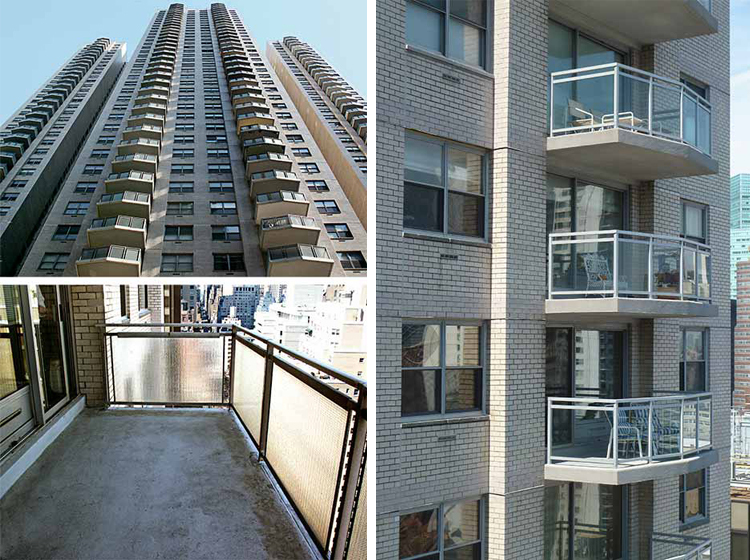 This consisted of reinforcing, resurfacing and waterproofing the balcony surfaces and replacement of the balcony railings. 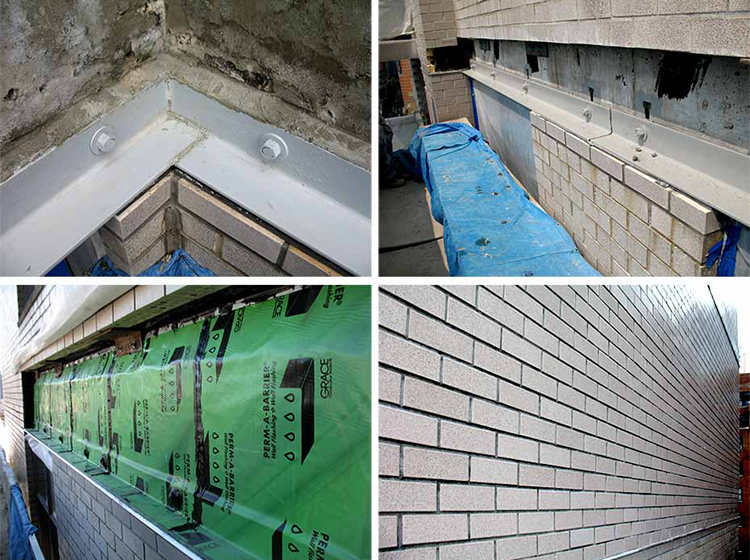 The second phase included comprehensive repairs to the masonry façades to eliminate unsafe conditions and address waterproofing issues, as required by NYC Local Law 11/98. 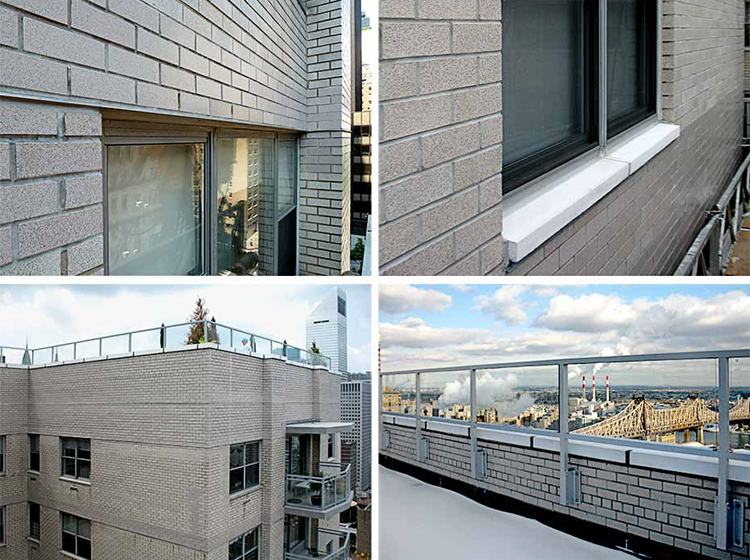 The program included replacement of defective shelf angles, repairs to the facebrick, replacement of windowsills, and reconstruction of all parapets and railings. When a flaw in the original construction was revealed, several of the reinforced concrete columns required structural rehabilitation. 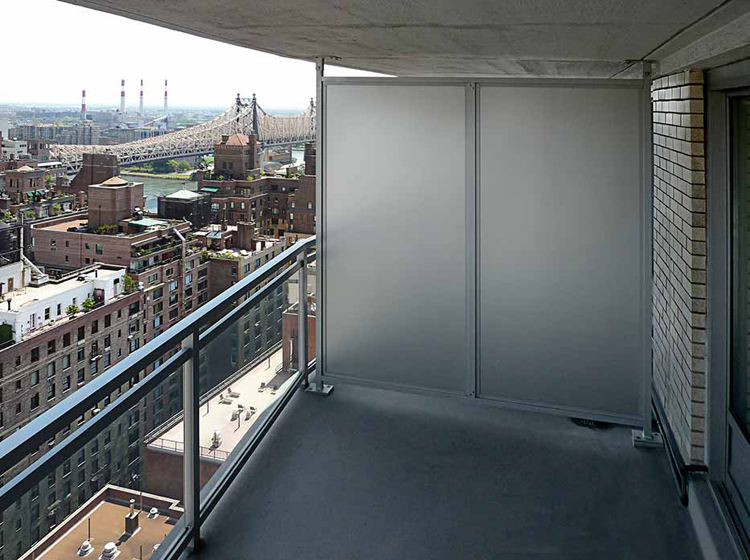 A solution was achieved by installation of a unique steel sleeve designed to transfer loads between several floors.